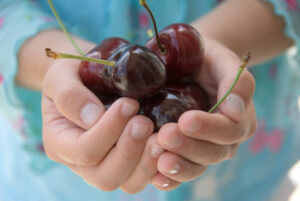 Whether they are beef, lamb, chicken, pork or veal, meatballs can be found in most of the cuisines of the world. While they are generally economical to make, their appeal is way broader than budget and much more to do with wonderful flavour combinations and texture. Although we are not necessarily going to embrace the Lady and her Tramps idea of romance over a bowl of spaghetti and meatballs, they do have their place in the kitchen. Minced (ground) meat is essential for meatballs, the type of meat used varies from culture to culture and is also recipe dependent. Italian meatballs are generally made from minced beef, veal or pork, either singularly or a combination. Combining spaghetti with meatballs is much more likely to be found in the USA instead of Italy where meatballs don’t usually accompany pasta but could be found in soup or with an accompanying salad. 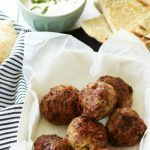 Middle Eastern koftas usually contain lamb or beef, they are eaten in pita bread with hummus and other accompaniments. 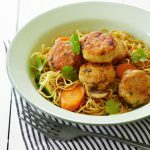 Chinese meatballs are usually made from pork and range from small flavoursome morsels floating in a soup to the super large lion’s head meatballs. Spanish albóndigas are made of beef and are usually served as tapas with a gutsy flavoured dipping sauce. In the UK faggots are popular, these are made from pork and use the heart, liver and bacon as well as fatty belly meat. 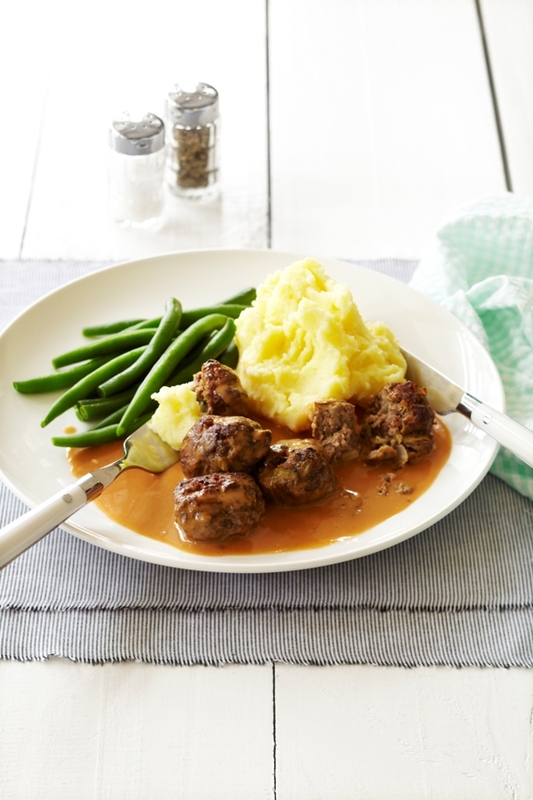 The Swedes are famous for their Köttbullar (meatballs) of which a popular version are found in Ikea cafes, fondly visited by Virgil Evetts on his travels. 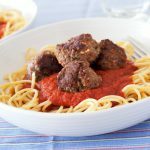 In this minimum fat content world, when choosing meat for meatballs forgo the lean minced meat for something a little fattier. Fat is pretty much essential in meatballs as this helps to bind them together. For this reason buy regular mince as opposed to the predominantly fat free when making meatballs. Finely chopped onion and herbs are usual additions to meatballs. some cook their onions first but if they are very finely chopped then it isn’t really necessary. A common issue with meatballs is falling apart – meat crumbles as opposed to meatballs, while some fat is beneficial, egg is good at binding meatballs but it will make your mixture sloppier so you may need to balance the egg with breadcrumbs which will then also help to lighten the mix. Grated cheese is also good for binding, it is a personal preference as to whether you like your cheese in or on your meatballs – or even both. 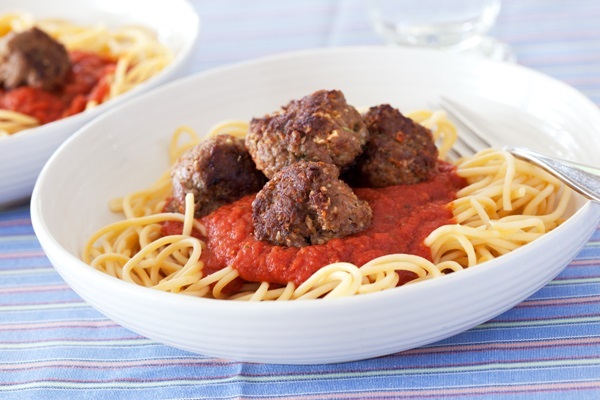 Ingredients such as fresh breadcrumbs or rolled oats can lighten meatballs significantly, meat on its own is very dense. Breadcrumbs soaked in milk makes meatballs even lighter and many swear by this including Frankie Valli’s not so secret meatball recipe of which he was well known for. Meatballs are usually pan fried in a film of oil until well coloured and cooked through. They can be oven baked but this generally doesn’t give as good a crust on the outside and the meatballs do have tendency to dry out. Meatballs can be frozen before cooking or once cooked. As they are small they are prone to drying out in the freezer so ensure they are in an airtight container and use within a few months. 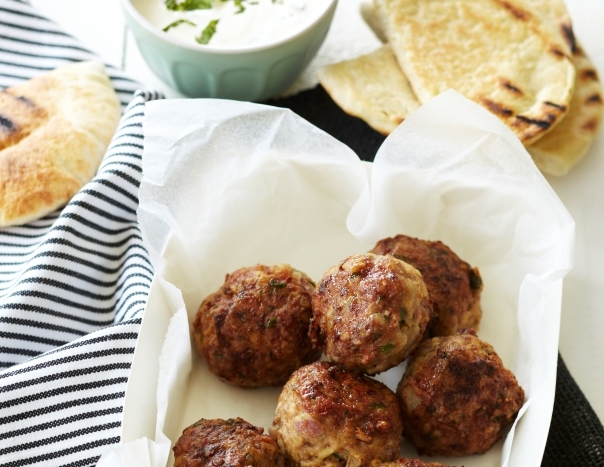 Bulgar wheat combines with lamb mice,spices and herbs in these tasty aromatic meatballs. Serve with garlic and mint yoghurt, hummus, salad and warm pita pockets. 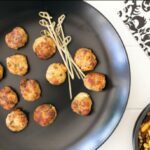 Tasty cocktail party fare, the zingy little meatballs are ideal served with a sweet chilli dipping sauce. 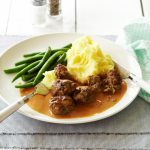 Dill, parsley, nutmeg and allspice combine with beef mince in these meatballs that are then immersed into a sauce of stock, cranberry and sour cream. Rich and indulgent they are perfect on a chilly night. 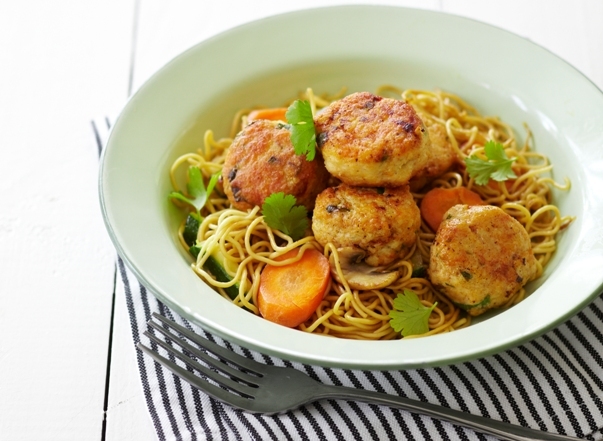 Serve these meatballs with noodles and vegetables or as cocktail fare. 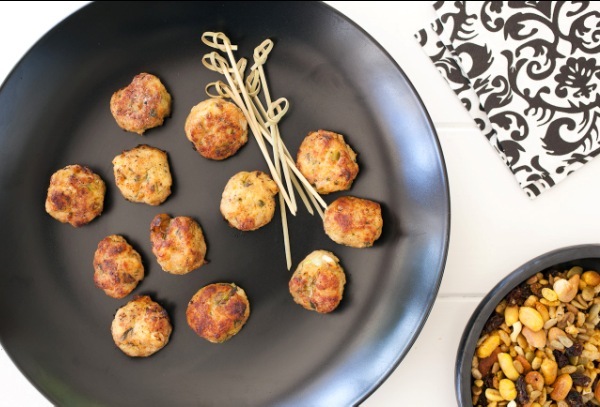 These meatballs are a staple in our house, they are perfect for hungry kids. 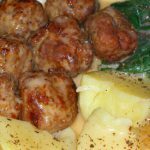 What are your favourite meatballs and do you have one that you like from a cuisine that we have failed to mention? 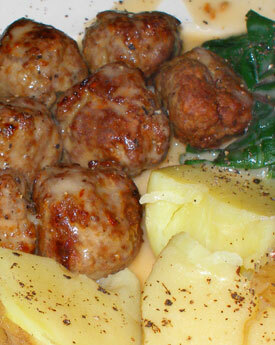 When the kids were smaller I used to make Frikadeller, which I think is a Danish meatball. Soda water is part of the ingredients. The end product is (hopefully) so light and really enjoyable. I must go through those listed and try them out. Marnie I would love to see the recipe if you do happen to find it. I have seen it via the big G, but I am sure I have a copy in my very thick folder. Will hunt it out. It must be meatball week as I went on a Monday meatball mission making two different meatball recipes and a meatloaf! They are so quick tasty and versatile (especially if you have a BIG pack of mince to deal to). Favourite this week has been Hedgehog Meatballs, you make a mix including raw rice and as they cook the rice sticks out making them look like little hedgehogs! Great fun and tasty. Looking forward to following this page, another great idea Helen. Sally to cook the rice sufficiently are the meatballs cooked quite slowly and is there sauce with them? I make bulk meatballs and freeze them. I don’t worry about the crust on the outside as mine are nearly always in a sauce of some kind. 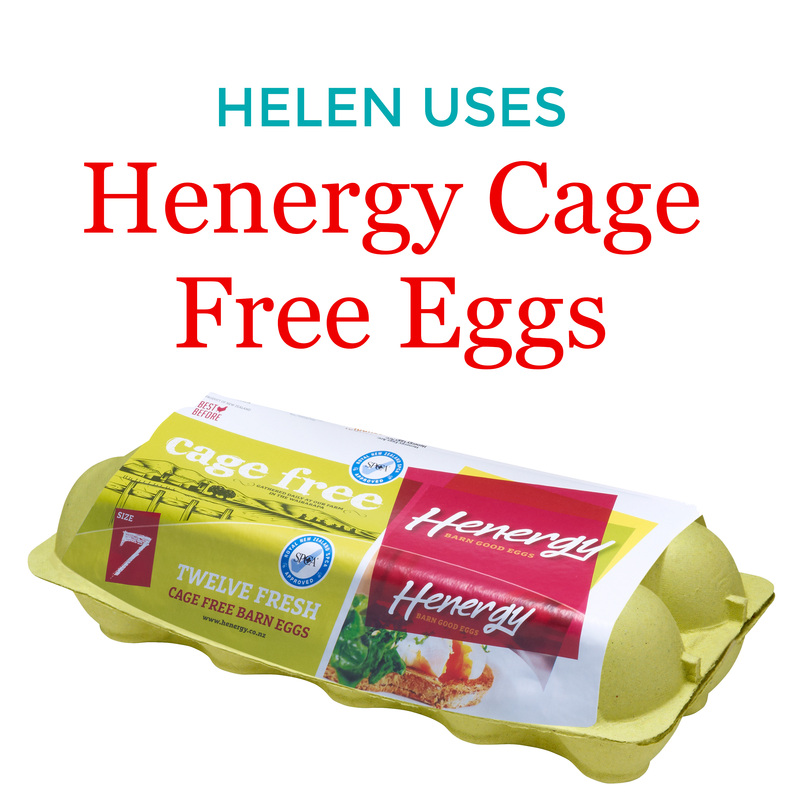 Great for those meals on the run and , when freeflowed, can feed any number of diners. I make mine with cold cooked hogget & call them rissoles. Just wondering if anyone knows where to purchase Tania mustards, my local has closed down.